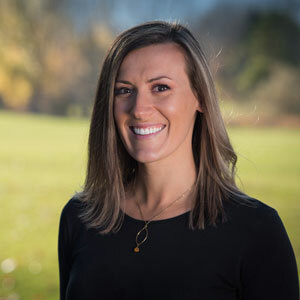 Dr. Lindsey Cosper joined the Spring Creek Dental team in September of 2013, and is thrilled to be part of such an amazing Fort Collins community! Dr. Cosper was born and raised in Hinsdale, Illinois, surrounded by the energy of three brothers. Her parents, both artists, have been a constant inspiration for her in providing fundamentally sound and esthetic treatment options for patients. Dr. Cosper moved here from Iowa City, Iowa, where she completed her dental school, along with a fellowship which earned her a certificate in Geriatric and Special Needs Dentistry. This diverse and complex population helped Dr. Cosper learn and appreciate the delicate interplay between mental, medical and dental health, along with its social implications. For this reason, Dr. Cosper embraces a comprehensive approach to care, and aspires to educate her patients so that they can make their own informed decisions. After completing her fellowship she served as a Visiting Assistant Professor at the University of Iowa, prior to making the move to Colorado, where she has long wanted to live. Dr. Cosper has been pleased to find the same general friendliness and embedded values in our patients, as she was used to in the Midwest. Dr. Cosper embraces our patient-centered approach to care, and she is proud to be a part of the exemplary care and compassion that we provide to our patients. She is excited to utilize her unique expertise while diversifying her patient base in our practice. In her free time, Dr. Cosper enjoys music, art, photography, cooking, spending time with family, and staying active outside as much as possible! 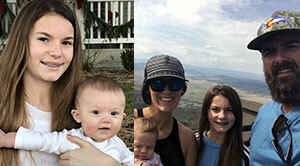 Dr. Cosper and her husband, Jake, are proud parents to their two daughters: Aubrey and Emily. To schedule an appointment with Dr. Cosper and the Fort Collins office of Spring Creek Dental, call (970) 482-8883.